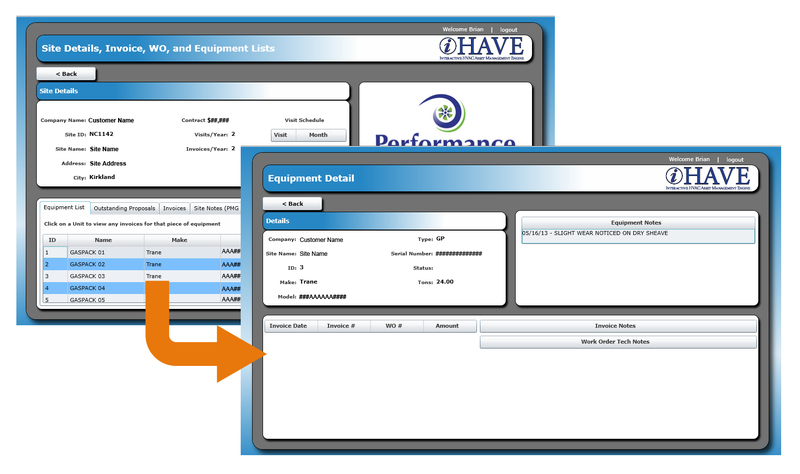 iHave is an online tool where our customers can view a wealth of information about the HVAC equipment we maintain in their buildings. This includes equipment lists, equipment status, maintenance schedule, equipment repair history, pictures of properties and equipment, and invoicing. Current customers can log on to iHave here. Contact Charles Day for iHave login information and support. Or call us at (425) 251-0356. If you are not a current customer, contact us to see what you're missing.